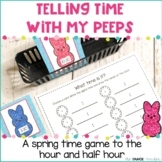 Telling Time to the Quarter Hour: These task cards are a great way for students to have fun while they practice telling time. Answers are provided for each problem. 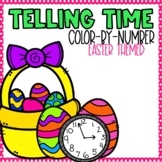 Important: If you enjoyed this product, check out my other Math Task Cards: Grades 1-3: Get all 18 (35% OFF) in the Bundle! 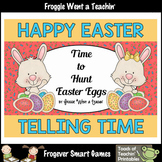 Easter--Telling Time "Time to Hunt Easter Eggs"
Bunny time is the Easter way of teaching time the fun way! 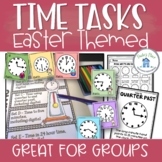 Clocks showing half past, O' clocks, quarter past, and quarter to. Please rate and enjoy!